LOS ANGELES (KABC) -- Kroger stores, including Ralphs and Food 4 Less, have recalled four store-branded seasonings due to possible salmonella contamination. The recalled products include Kroger's Bac'n Buds (12.0 oz/UPC: 1111070025); Ground Cinnamon (18.3 oz/UPC: 1111070034); Garlic Powder (24.7 oz/UPC: 1111070039); and Coarse Ground Black Pepper (17.1 oz/UPC: 1111070041). 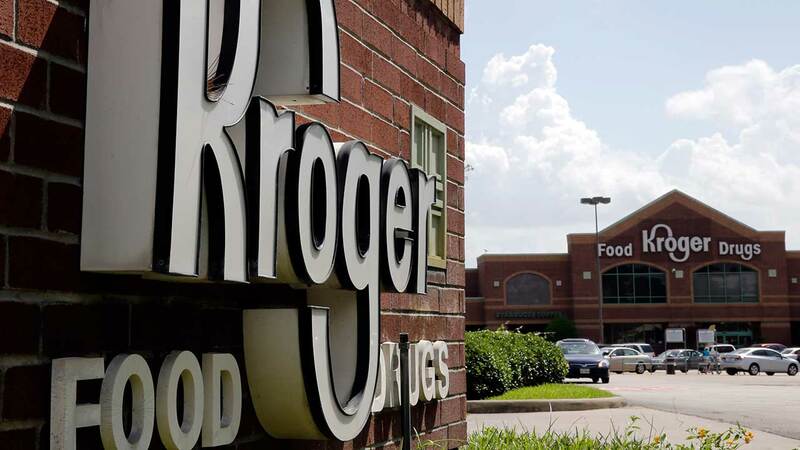 According to a press release from Kroger, its Garlic Powder seasoning tested positive for salmonella during a test by the U.S. Food and Drug Administration at a store in North Augusta, South Carolina. The products have been removed from the following stores across 31 states where Kroger operates: Kroger, Ralphs, Food 4 Less, Foods Co., Fred Meyer, Fry's, King Soopers, City Market, Smith's, Dillions, Baker's Gerbes, Jay C, Ruler Foods, Pay Less, Owen's and Scott's. The company said no illnesses have been reported in connection with the recalled products. Customers who have purchased the recalled items should not consume them and return them to a store for a full refund or replacement. Customers with questions can contact the company at 1-800-KROGERS. For more information about the recall, visit www.kroger.com.